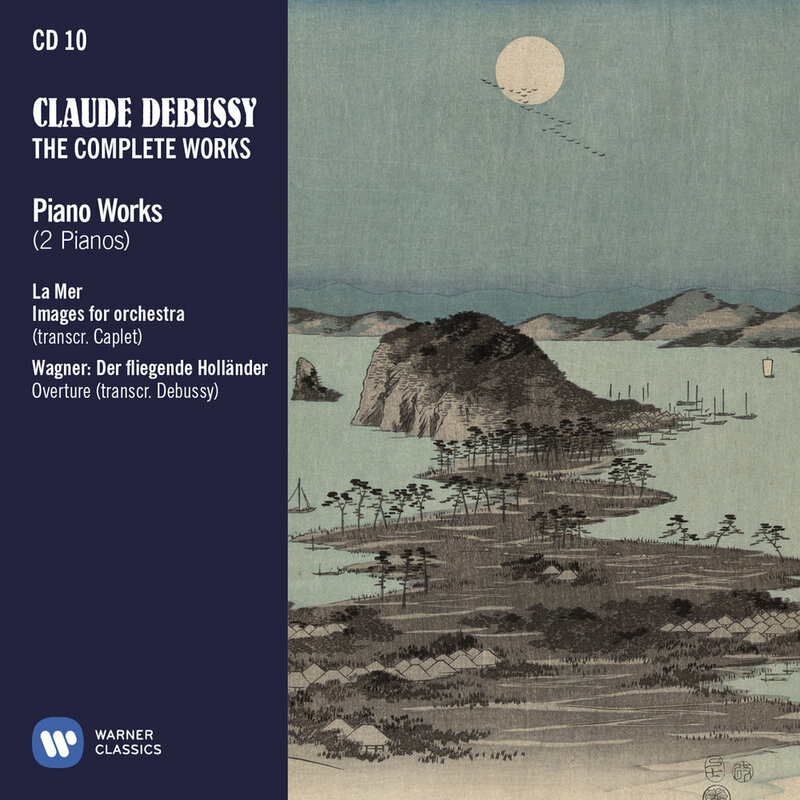 On 25 March 2018, we commemorate the 100th anniversary of the death of Claude Debussy, the most influential and beloved of all French composers, widely considered one of the fathers of modern music. 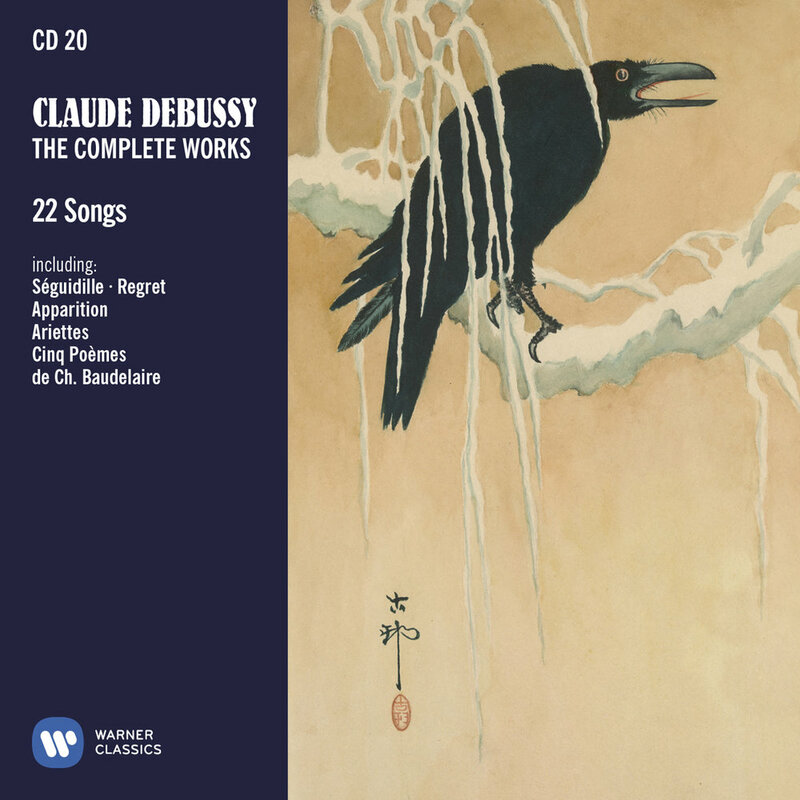 Warner Classics’ new 33-CD box set, to be released in January, stands as the first and only complete collection of recordings of Debussy’s music. It comprises all his known works, including six pieces in world-premiere recordings made especially for this edition. 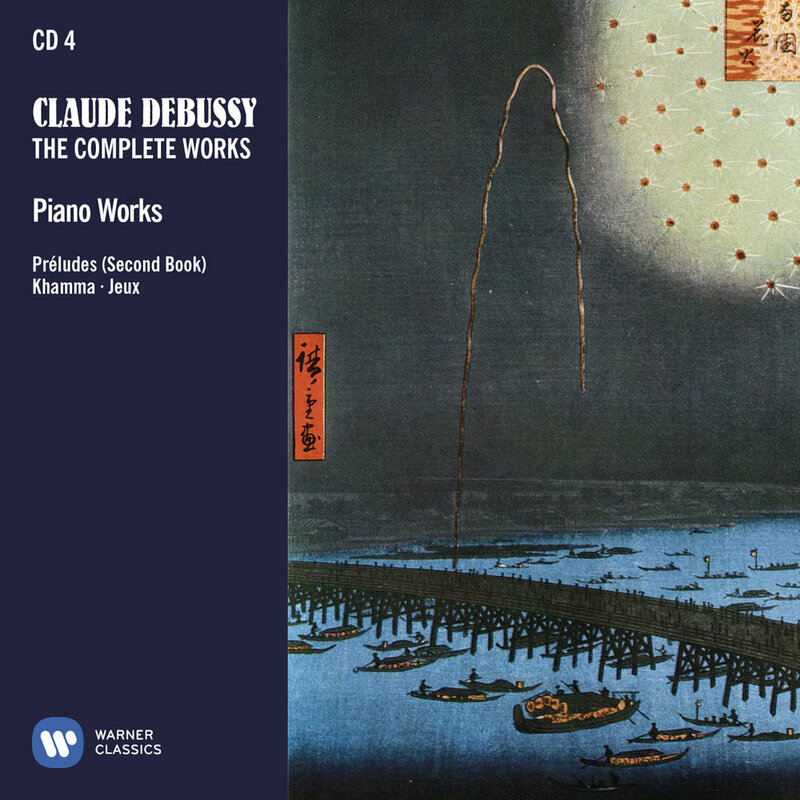 Compiled in collaboration with renowned Debussy expert Denis Herlin (Editor-in-Chief of the complete critical edition of Debussy’s music for Durand, the composer’s publisher), Debussy: The Complete Works comprises recordings carefully chosen for their artistic quality and their authenticity of spirit, with the invaluable addition of a bonus album of recordings made by Debussy himself – he was a superb pianist. 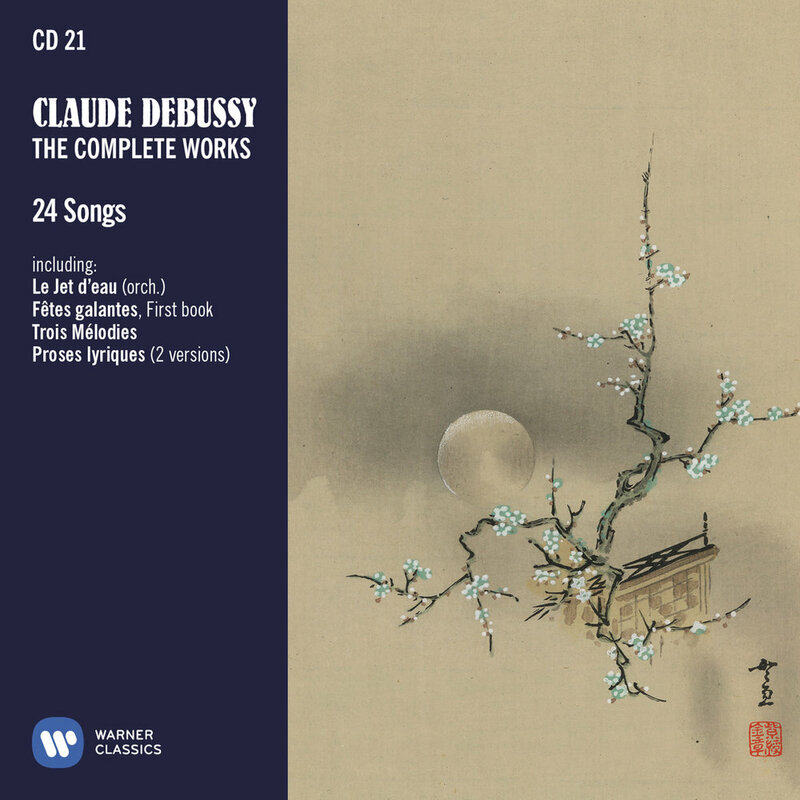 Other superb musicians featured in this collection include Martha Argerich, Itzhak Perlman, Yehudi Menuhin, Daniel Barenboim, Kent Nagano, Sir Simon Rattle, and the crème de la crème of the French school, from Aldo Ciccolini, Samson François and Gérard Souzay to Pierre-Laurent Aimard, Philippe Jaroussky, Roberto Alagna, Natalie Dessay and Quatuor Ebène. 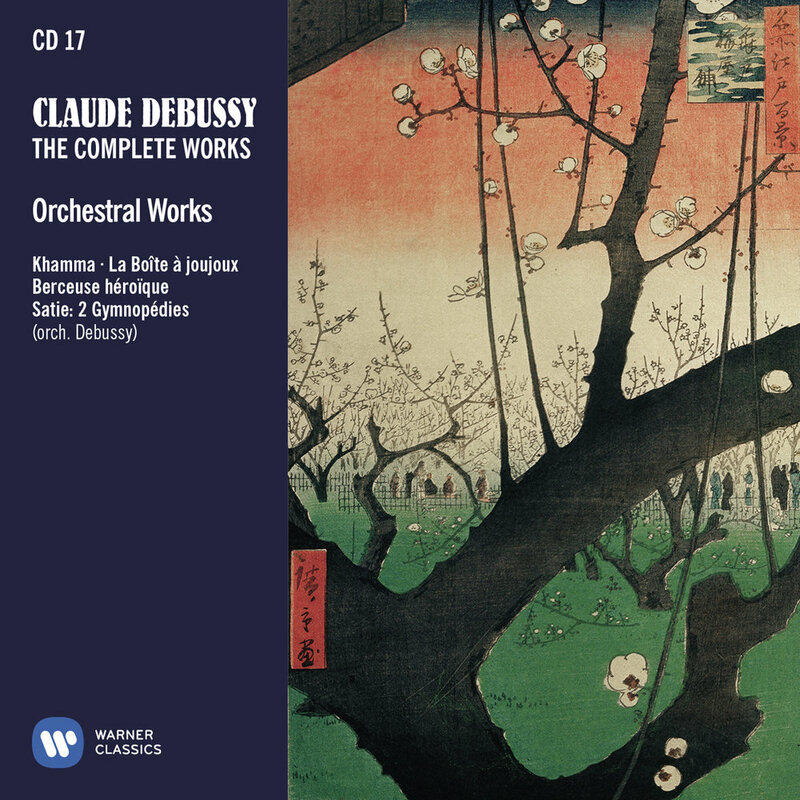 In addition to the above, we have included several arrangements of Debussy’s works made by composers with whom he was on friendly terms. 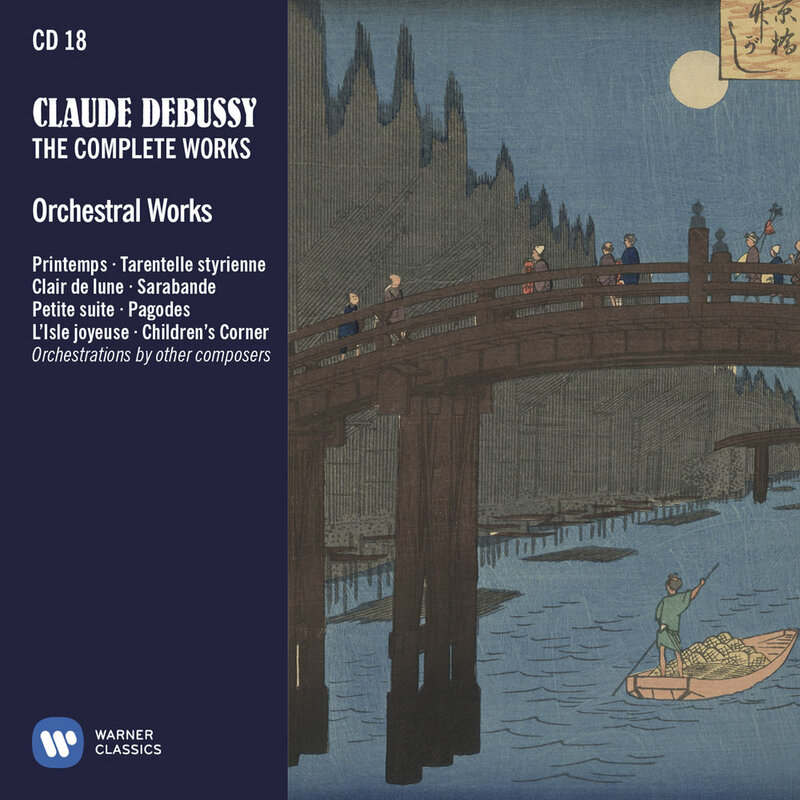 The complete edition contains all the transcriptions by André Caplet (for piano solo, two pianos and orchestrations), even those carried out after Debussy’s death. Caplet’s orchestrations of two of the Ariettes oubliées (22/13-14) are recorded here for the first time. Most of Caplet’s transcriptions received Debussy’s seal of approval, and the composer conducted the orchestral version of Children’s Corner (18/14-19) on several occasions and took part in performances of the two-piano version of Ibéria (10/5-7). The same applies to the arrangements made by Henri Busser, Jean Roger-Ducasse, Désiré-Émile Inghelbrecht and Bernardino Molinari. 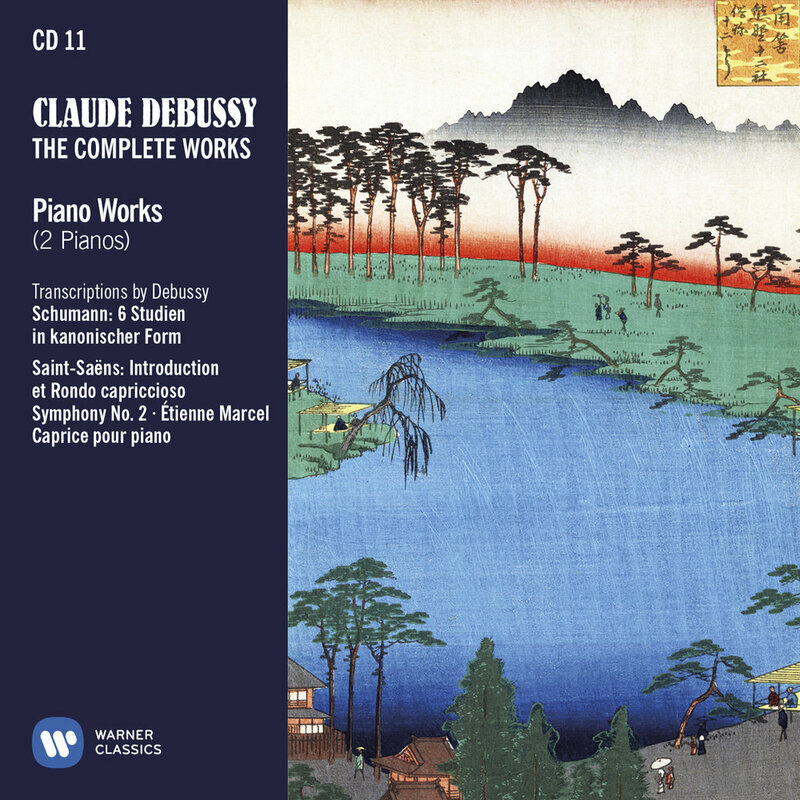 Ravel’s transcriptions and orchestrations are testimony to his admiration for Debussy. Finally, it is worth noting that Debussy was on good terms with the violinist Arthur Hartmann and transcribed Minstrels, one of the piano Préludes, for his friend. The two men played the piece together at a concert on 5 February 1914, alongside two arrangements that Hartmann had made with the composer’s consent: another of the Préludes, La fille aux cheveux de lin, and the second of the Ariettes oubliées (13/15), Il pleure dans mon cœur (13/14). 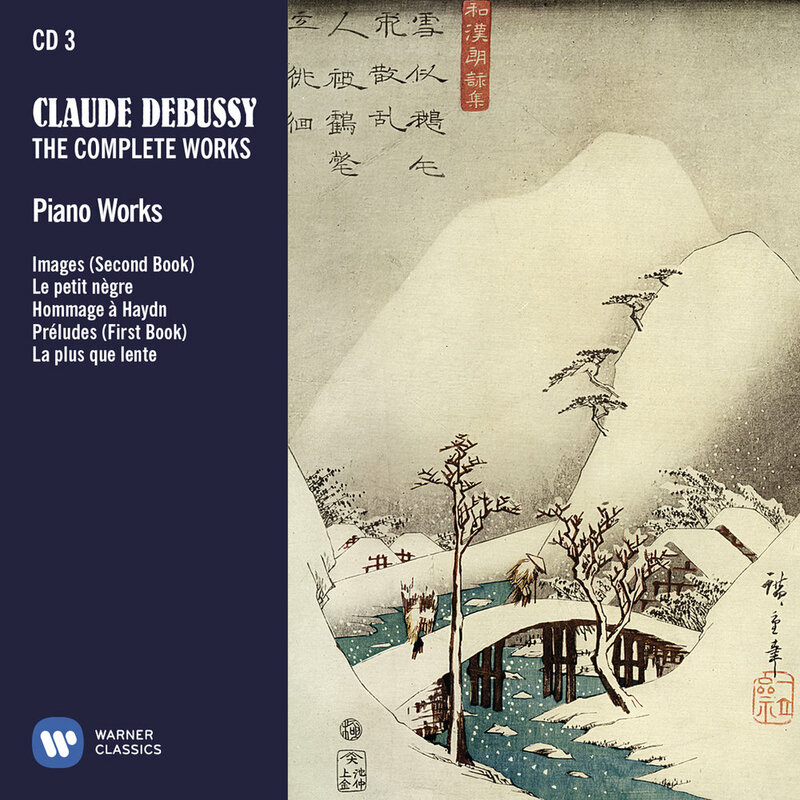 Finally, this set features the only known acoustic recording of Debussy accompanying Mary Garden (33/15-18), made in February 1904 for the French Gramophone Company, as well as piano rolls of fourteen pieces made using the Welte-Mignon system and probably recorded by the composer in November 1913 (33/1-14). 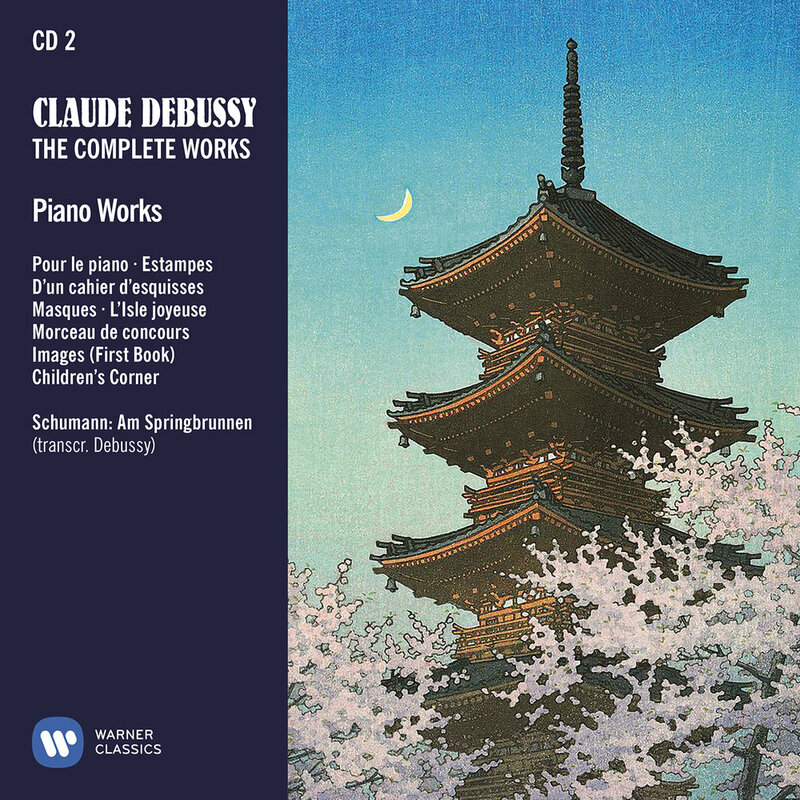 Hearing Debussy play his own music, even via the old school player piano, is a fitting way to celebrate a singular artist whose influence and inspiration are still very much alive. Presented chronologically within each genre, it's a scrupulously assembled and documented collection ... As a reference source it is invaluable, especially for tracking down some of the early songs or more obscure fragments of orchestral music... To have all these rarities as well as the masterpieces available in a single package makes it a very satisfying survey. A triple album replete with new insights into a captivating, inventive and influential musical genius. 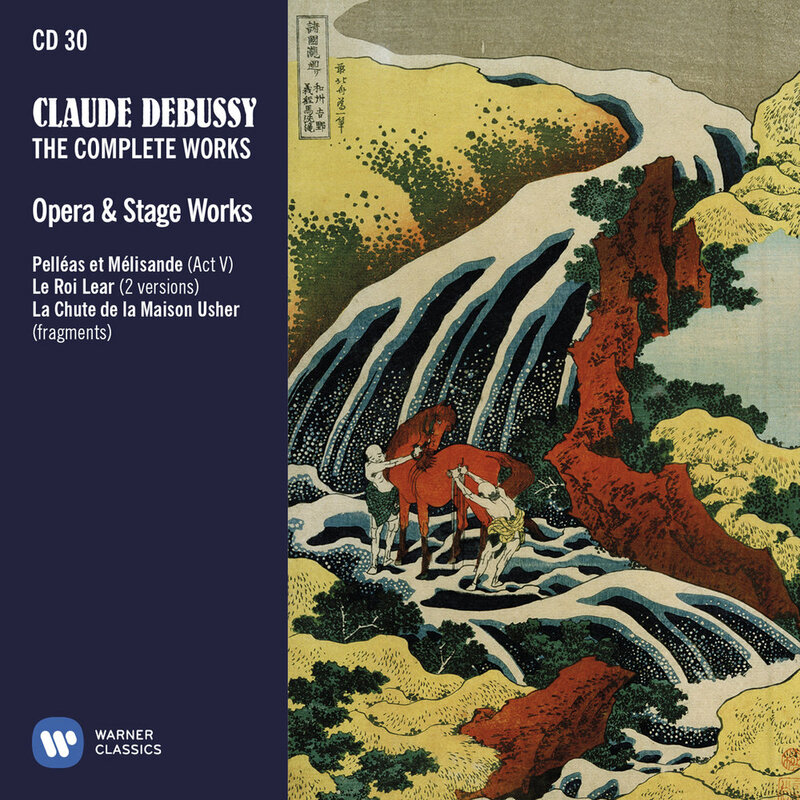 All the fascinating works in this collection are 'firsts': the unfinished opera La Chute de la Maison Usher is heard just as the composer left it; Debussy's transcriptions of his own Jeux and Khamma, and of works by Schumann and Saint-Saëns, are world-premiere recordings. 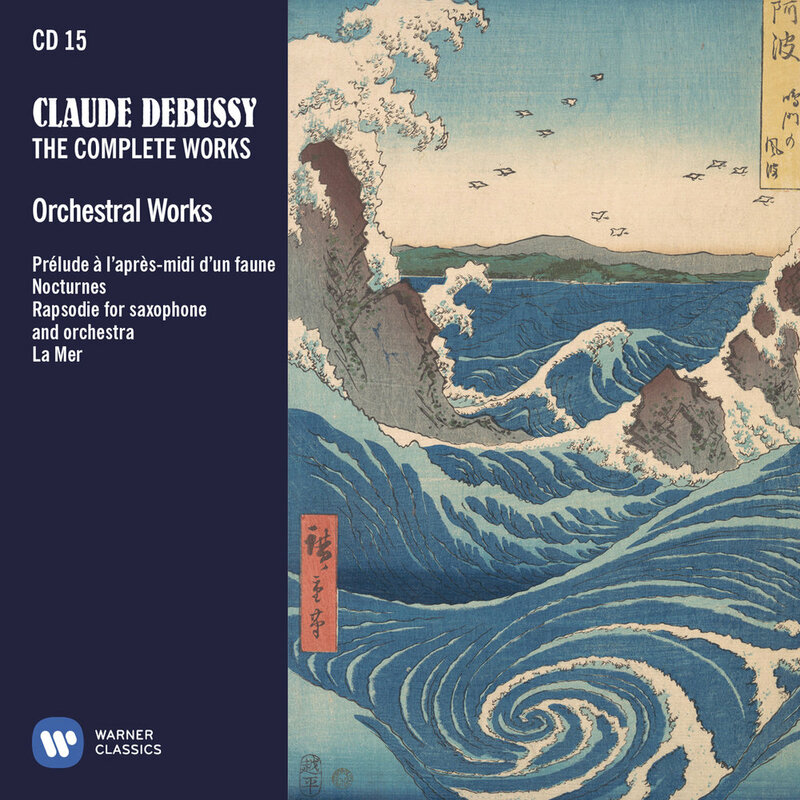 At the helm of France's premier orchestra, maestro Krivine explores some of Debussy's most vivid orchestral scores, including the original 1905 version of the 3rd movement of La Mer, in which shimmering haze is replaced by powerful impulse. The music sweeps along with a sense of violent ecstasy, reflecting the composer’s lifelong love of the sea. 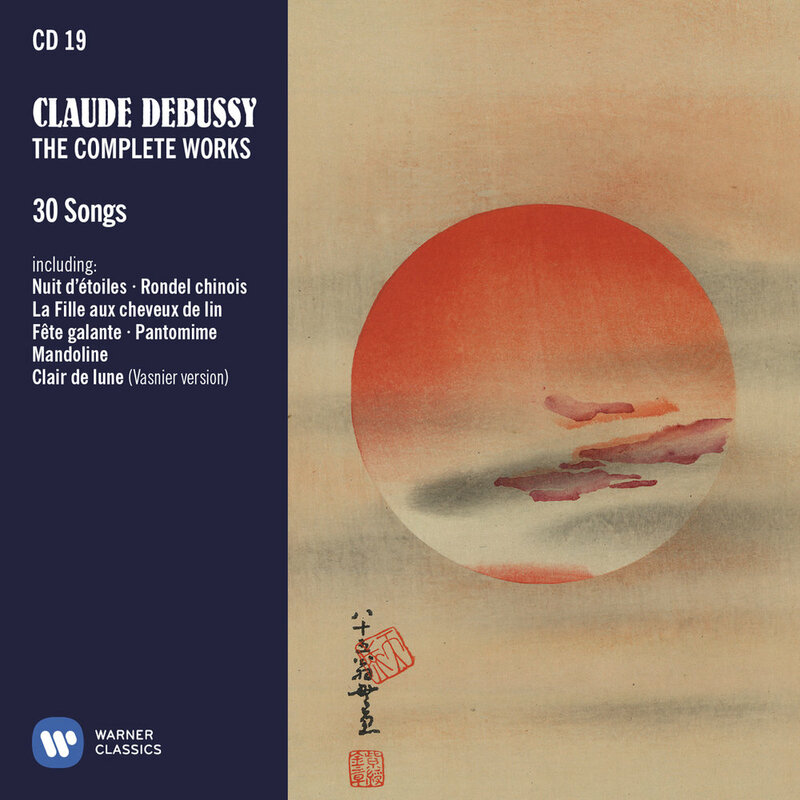 “Claude Debussy, musicien français.” These words appeared on the covers of the published editions of the three sonatas Debussy wrote in the last years of his life: for cello and piano, for flute, viola and harp, and for violin and piano. 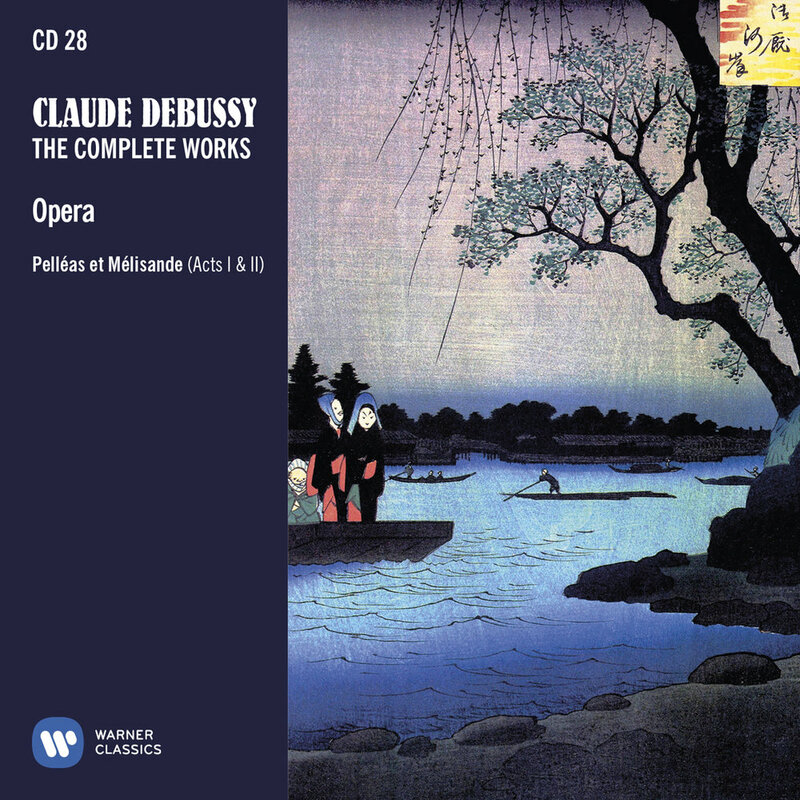 On this album they are brought together with the haunting Syrinx for solo flute, and the Trio in G major for piano, violin and cello, written in 1880 when Debussy was just 18. For this collection of sumptuous French chamber music, Erato has called upon six of today’s leading Gallic instrumentalists: pianist Bertrand Chamayou, flautist Emmanuel Pahud, violinist Renaud Capuçon, cellist Edgar Moreau, viola player Gerard Caussé and harpist Marie-Pierre Langlamet. 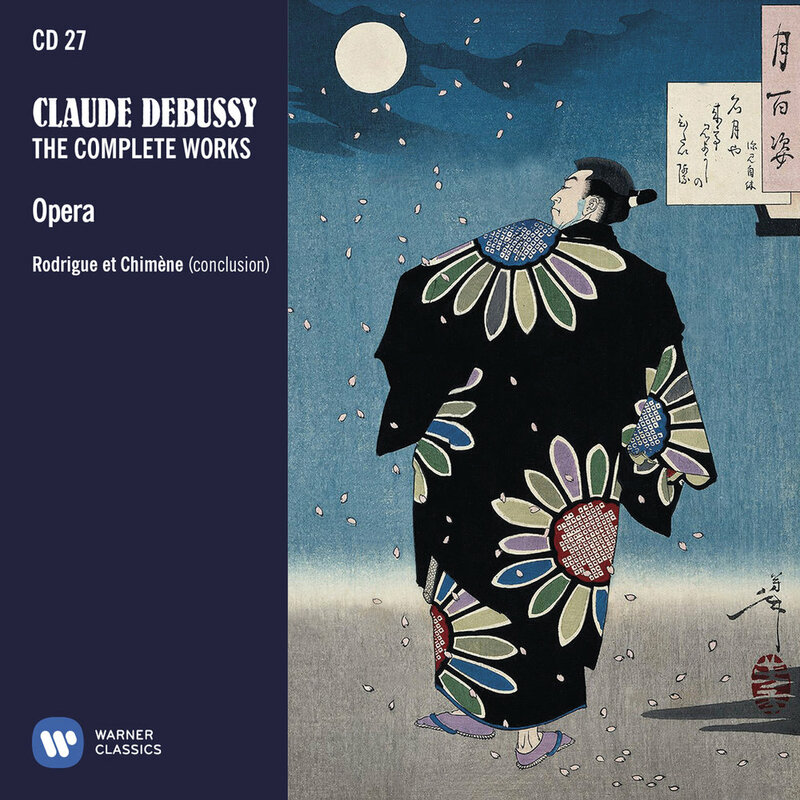 The performers in this 10-CD edition are artists who knew the composer personally and who gave world premieres of his works, such as Ricardo Viñes, Mary Garden, Désiré-Émile Inghelbrecht, Pierre Monteux, Henri Büsser, Gabriel Pierné and Camille Chevillard. The collection offers a wealth of ground-breaking recordings, made between 1904 and 1963. They have become landmarks of the catalogue. © 2017 Warner Classics. All rights reserved.